Koji Kabuto, the pilot of Mazinger Z, moves to the USA for study purposes and in the meantime his father, Dr. Kenzo Kabuto, completes the project of the Great Mazinger: a new enhanced version of the original Mazinger Z, who first appears in the final episode Mazinger Z to save Koji from the new threat of this series. The pilot of this great robot is Tetsuya Tsurugi, an orphan boy adopted by Dr. Kabuto and trained since he was a teenager to be the pilot of Great Mazinger. The doctor also raises an orphan, Jun, a girl who will be entrusted with a female-looking robot, Venus A, who helps the Great Mazinger in combat even if with poor results. Dr. Kabuto is head of a powerful research base, the Fortress of Science, a bulwark that opposes an evil invading people, the fearsome Mykene Empire, a people of half organic and half mechanical beings, driven out of its land of origin and established in the subsoil. The members of this race have changed their bodies into those of giant machines with a second head, usually set in the chest. 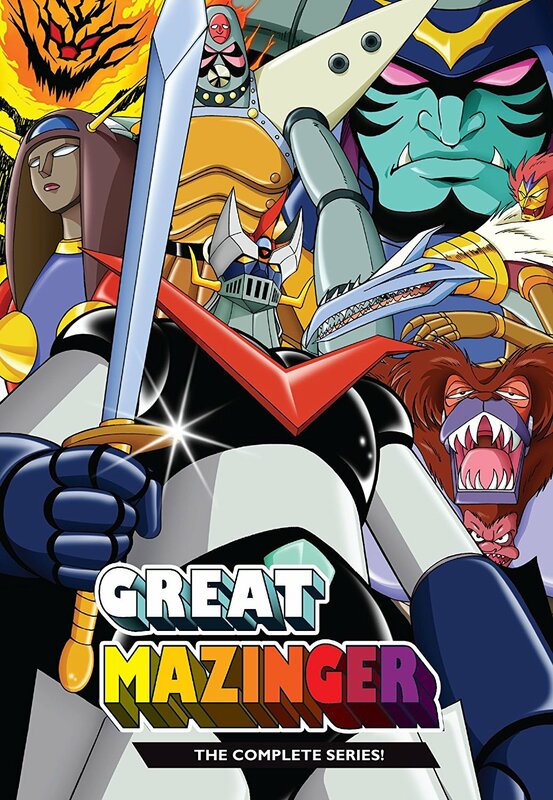 The army of Mykene is led by the Great General of Darkness who commands seven generals (each of whom represents a precise animal world) plus the Archduke Gorgon, the Minister Argos and the Great General of Darkness and, upon his death, supplanted by the Great Marshall of Hell, who is really Dr. Hell from the original Mazinger Z . In the final episodes, Koji and Sayaka arrive with their respective robots (Mazinger Z and Aphrodite A) to help out Tetsuya, Jun and Boss. The fight is exhausting but finally they manage to defeat the enemy. Unfortunately Dr. Kabuto dies sacrificing his life to save his children. In the end, all the robots that have always defended Earth from alien invasions are shown in a museum where they will always be remembered by all as great heroes. The above description came from Cavery210 and Encirobot.com, and was edited by yours truly (contact me).